Well that title makes me sounds like a cynic, but hear me out here. While walking to a writing session today, I had my camera with me and filmed some footage for future vlogs. I’ve been doing that a lot for the last week or so and the more I film, the more I realise how much I love it. And here’s the thing: I live in Norway, and even though I live in the capital where there are so many creative people, most of them will still find you weird and stare at you while you’re filming the train passing by or a pigeon walking in circles. It’s way too easy to feel kind of awkward when this happens, and I’ve definitely been awkward more times than I can count. And I also realised that this sometimes make me hesitate when it comes to pulling out my camera, making me lose that perfect shot. But today, I just felt so overwhelmed with creativity while out walking and I suddenly found myself not even caring the tiniest of bits who was looking my way while I was sitting down and filming the shoes that passed me by. And guess what! It felt bloody brilliant! I was skipping along with the biggest smile on my face and the camera in front of it. I got a lot of curious looks but why should I even care about that? What difference does it make who stares and what they think? Why are we so afraid of standing out because of our creativity and life choices? It’s been many years since I stopped caring about what people thought about my clothes and my personality, but I hadn’t realised that I still cared about who thought what I was up to was weird! But today I set a stop to it. I’m going to be my kind of creative no matter who stares or who comments about it. My artistic voice is my own, and does who care to listen are more than welcome to do so, and those who doesn’t care for it can leave or look another way. They don’t have to be a part of it in any way. It’s about time we all stopped compromising our creativity for the sake of other people’s opinions. When it comes so creating something, the only opinion you really need to listen to is your own, and then you can choose who you listen to after that for the right kind of criticism and advice. 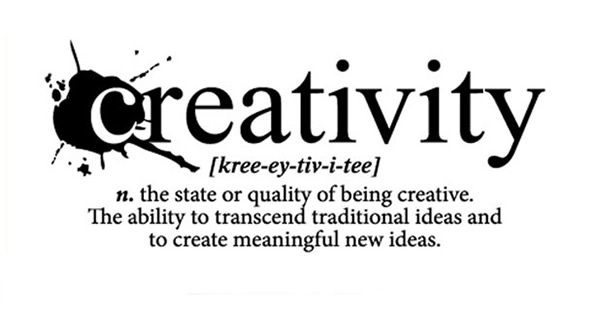 Let’s be creative and stop caring so much! Look Look! Another Notebook Collection!